You are probably asking yourself right now. Why are we talking about Very? But it is probably going to surprise you just as much as it did us that Very actually have a very (no pun intended) garden buildings section. They sell things like sheds, summerhouses, greenhouses, workshops and even more obscure things like pergolas and arbours. So while we know this is not the first place many people will come looking for a new shed or some other type of garden building. We must say that Very are worth a look, especially if you can find some kind of Very voucher code or special offer that is going to save you a little bit extra money! One thing we do want to mention about Very is that it appears as though they have taken over from Woolworths Online as any searches for Woolworths now automatically divert you back to Very. Here we want to show you the kind of Very deals that are out there. Here at WhatShed we are known to be a bit of a thrifty bunch and we want to make sure that your money goes as far as it possibly can! The best tips that 90% of people who SAVE money at Very use! We have done a whole lot of these money saving pages and if you have looked at any of them. Then you no doubt know that we do not have a treasure chest full of Very voucher codes and Very special offers. But what we do have is some actual ways that you can get a better deal. Save some money and just in general ensure you are informed about any special offers that Very may have going on. So have a look down below to see the genuine ways that you can get a good Very deal. 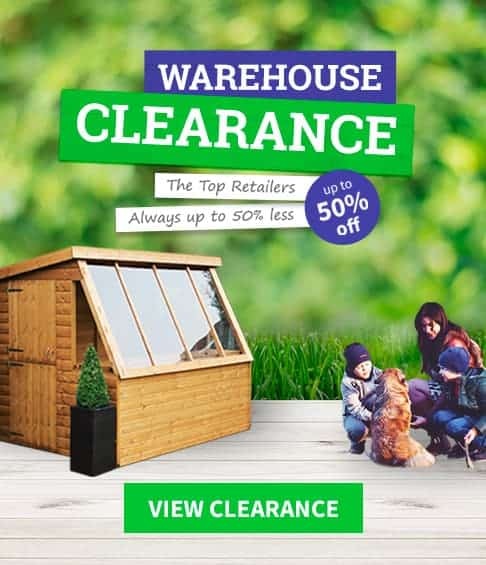 They actually have some great deals on garden furniture: Now Very are a retailer who pretty much sell everything under the sun. So we are sure you are imagining that their special offers section is just full to the brim of random items from toys to pantyhose. While this is true, you can actually just click a couple of tabs and then before you know it, you are right at the garden buildings latest offers section. There is no need for a Very voucher code here! All of these are the current special offers that the have going on and as of us making this guide. Sheds, archways, workshops and many other garden buildings are here. Also as well as garden buildings they have many other garden items ranging from BBQ’s to swimming pools so be sure to have a real good look around. Take advantage of their 10% off deal: We were as sceptical as you about this deal, but it is actually one of the most popular Very deals that is out there. By entering a Very promo code all new customers can get a very generous 10% off their first order. So if you are purchasing a shed that costs a few hundred pounds this can actually lead to fair bit of money staying in your wallet! This promo code does seem to change every couple of months, but do not go hunting around for it as Very most of the time have it slapped right on their homepage or at the very least on their sign up page. Take 3 is a great way to get something more expensive now: Very do have a few different payment options, but one they are pushing really hard right now is Take 3. No this is not some dodgy, knock off Take That tribute band. But an actual way that you can spread the cost on something, without having to pay a fortune in interest. The way Take 3 works is that you purchase something then pay it off in three monthly instalments. So if you purchased a shed that cost £300, you would pay £100 for three months and not a penny more in interest. This is a pretty great thing they have going on and have a think if it is something that could actually work in your favour. You can spread the cost over 12 months: We have seen many retailers offer a buy now pay later kind of offer. But the way Very do it is actually really good. They are very upfront about how their buy now pay later works which is something we really like. If you spend over £200 then you have a whole 12 months to pay it off. Best of all if you do pay it off in these 12 months then you do not pay any interest. This is great for those of you who want a pricy shed or really expensive summerhouse. They do also have a 9 and 6 month buy now pay later option for if your order is £150 or under £100 pounds. Find out about deals and offers on their Facebook page: We know that for many of you spending time on Facebook is about as appealing as a one on one dinner with the mother in law. But if you want to keep up to date about any Very voucher codes or Very special offers that are going on. Now most of the time this is not for garden buildings, but when Very do have a promo code it is most of the time just for a percentage off and not for a specific kind of item. So while we understand hearing all about this summer’s most epic swimsuits is not your thing. Just know that putting up with those kinds of Facebook posts can lead to you finding out about a great Very discount code. A round-up of all the current Very voucher codes we found online. Very is one of the UK’s biggest shopping sites as you would expect there are a ton of money saving sites out there claiming to have incredible Very voucher codes. Some of these really made us mad as the claims they make are just 100 percent bogus and will not save you any money, but you will make them money by clicking their fake links! It can be hard to know what sites have genuine Very deals and what others are just trying to use you so they can make a few pounds. Well we have looked high and low all over the internet to see who are the most looked at money saving sites when it comes to Very and just down below you will see who they are, what we think about them and most importantly of all. If they will save you money or just waste your time. Finding sites that claim to save you money on Very is actually very easy. We used broad search terms to make up this list. The search terms we used to make this list were, Very Voucher Codes, Very Coupon Code, Very Current Discounts, Very Discount Codes and Very Sale. One of the most common deals you will find is 10% off your first order! As you read up above. Very do offer new customers a very generous 10% off their first order. You do need a Very voucher code to make this happen, a voucher code which 99/100 is located on the Very homepage. But that does not stop the majority of the money saving sites down below showcasing this code as if it is exclusive to them. What they claim? Deals Cove is a money saving site that we have not come across all that often to be honest. They have a easy to use layout and they do claim that the Very voucher codes that they have are all valid. They give a specific date as to when the last time the page was updated. What We Found? We found some Very promo codes for as much as 50% off! How awesome would it be to get half off your order? It would be great and it would be even better if this code actually worked! They have a few to many of these dream money off codes that just do not work for our liking. This is a site that tries to tempt you into clicking their links as the deals they have sound amazing. But you are not actually going to save any money by doing so. To be fair they let people rate each code and the big money off ones have a very low approval rating so you can see before you click that people are not happy with them. What they claim? Voucher Codes are a regular on these lists of ours and they do have a section dedicated to Very voucher codes. Voucher Codes do not give you a specific date for when the actual page was updated, but they do tell you when each individual code was added. What We Found? Ok so let’s start with the good. Most of the links that we found here do take you to place they say they will. But there is not actually any special savings here. You see all of the deals they have listed on Voucher Codes are just the regular deals that Very are offering. Most of these special offers can be located on the Very homepage so there is not really any reason to come here first as it is not going to save you any extra money. What they claim? It was actually quite nice not to be bombarded with text telling us how they have the most up to date Very promo codes and deals. Instead, My Voucher Codes keep things simple by just telling you the month that the page was updated. We are making this guide in August and that is when the codes and offers they have listed are supposedly good for. What We Found? My Voucher Codes is offering very similar experience as to what Voucher Codes does. They do have active links that take you to where they say they will, but none of their links are going to actually save you any more money. One of their links for example was to save money on a gazebo, but when you click it you just get taken to the gazebo section of the Very site. Now this is great that their links actually work. But you could just go to the gazebo section of the Very site by yourself and save yourself some time. Time that could be used looking at pictures of celebrities on Twitter or having another cup of tea. What they claim? Voucher Slug are one of the top money saving sites and they regularly feature on our lists. They make the claim that their Very section is updated on a daily basis which if true, we tip our cowboy hat to them. What We Found? At first glance it looks like Voucher Slug has all the same Very voucher codes that all the other sites on this list does. They have links to all kinds of random items, but we did not find any for garden buildings. But what really caught our eye was the amount of expired Very discount codes that they have. Why they keep them on here when they themselves say they are expired is beyond us. But we just hate the thought that some poor soul is going to waste their time clicking all of these, hoping that they still work. CouponFollow.com – They have some of the oldest codes ever! What they claim? Couple Follow have a dedicated section to Very. They have a long list of Very deals and offers and at the side of the screen they tell you how many valid codes they have and how many “coupons all time” they also have what coupons all time exactly means we are not sure, but we think it is a fancy way for saying expired. What We Found? We actually had to pick our jaw up from the floor when looking at Coupon Follow as they have some of the oldest voucher codes we have ever seen. Not just for Very, but in general. They actually have a Very voucher code on here that is over five years old. They have plenty others that have expired years ago too. The worst thing is all their codes are jumbled up so you might have a two year old code, but then under it is one that is actually current. It makes looking for a deal really confusing and frustrating so do yourself a favour and just go directly to Very. What they claim? Ok so let’s start with something positive. Green Promo Code actually do a pretty good job in telling you how many Very deals they have and also when they were added. We would maybe go as far to say that they do this better than anyone else on the list so we give them a thumbs up or if we are being cool, a bro fist for that. What We Found? While we like the layout their actual Very discount codes are not that great. Most of the codes we looked at had either a zero or a very low customer rating so that right there tells you people have not got these codes to work. We also clicked on quite a few of them. Even random ones that have nothing to do with garden buildings, like one for a pair of Nike Air Max trainers. Just to see what would happen and all it did was take us to the Very homepage. You are not going to save any money on a shed by coming here first. What they claim? Promo Vouchers do actually have some of the current deals that are going on at Very right now and they do even claim that their deals and offers are updated on a daily basis. What We Found? We did find some links that took you to what they said they would, but there was not any that gave you any extra savings. They also have a section that is dedicated to old deals and codes. Many sites do this, but we really do not like the way that Promo Vouchers suggest your try them. There is no way that any of these old codes work. All they will do is waste your time so just go straight to Very and get a deal for yourself. What they claim? We are pretty sure that everyone reading this guide will have heard of Money Supermarket. After all their annoying adverts seem to be on TV at least 648 times per day. Anyway when it comes to Very voucher codes they do have what they claim are top rated voucher codes. What We Found? We debated if we should include Money Supermarket or not. But as they are one of the biggest money saving sites in the UK. We felt they would be one of the first places most people would look to get a good Very deal. Well we sadly must tell you there are no Very deals here. That is right. They do have a Very section, but all it has is two expired Very promo codes! Coming here is just a waste of time when it comes to saving money off your Very order. What they claim? One of the first things that you will notice about Vouchers Go is that they claim their Very discount codes are bang up to date. We were looking on their site on the 3rd of August and according to them this was the actual date the page was last updated. What We Found? We found one of the largest selections of Very deals located here. Some of them sounded too good to be true such as the one offering 50% off your order. We clicked it and were just taken to the homepage with so 50% off in sight. We then clicked a few more deals and the same thing happened every time. We just got taken to the homepage, we even clicked a deal to get money off a pair of sandals and that still just took us to the homepage! What they claim? ReVouchers claim that they know on average how long a Very promo code will last and what the average saving is. They also claim that the deals and offers they have listed on their site are good for whatever the current month is. What We Found? We looked at all of the Very voucher codes that were listed here and while none of them were for garden buildings. We did notice that some were actual deals and offers that Very have on their homepage. Under these deals though are Very discount codes that are expired and then under that there is another section of different retailers! Just cut out the middleman, head to Very yourself and save yourself the time and frustration of coming here first.